The Acte de Vente or Acte Authentique is the final purchase-sale contract signed by the buyer and seller of a property in France. It must be prepared and witnessed by a notaire, who acts as a representative of the state. The Acte de Vente will usually be signed within three to four months from signing the Compromis de Vente for re-sale properties. Those who will need to be present include the buyer, the seller and the notaire. The Acte de Vente will usually be signed within three to four months from signing the Compromis de Vente. For new build properties the timing of the signing will depend on the date of delivery specified in the original construction contract. The process can be fairly quick for a plot of land, if the developer has already purchased the land and obtained planning permission. Much of the same information is covered in this contract as the Compromis de Vente. Buyers will need to provide original birth, marriage and divorce certificates. Differences include the fact that the Acte de Vente has a fuller description of the property, details of mortgage loans, details of insurance policies, reports of mandatory surveys such as lead, asbestos, termites etc., and a breakdown of the tax payable by the buyer and seller. A draft of the contract will be sent to the vendor prior to signing, to ensure that all details are clear to them before the signing date. If necessary, a professional translator can be used to translate the contract and attend the signing. The cost of this service will be charged to the party requiring the translation. There is a list of French translators available on the FrenchEntrée Directory. A date will have been fixed for the signing well in advance, but many factors can cause it to change so it is recommended to keep in touch with the estate agent and notaire to ensure things are running to schedule, in case travel arrangements need to be altered. The contract must be signed and formalised in France. If any of the parties is unable to appear in person, it is possible to appoint a power of attorney for the representative to attend the signing. The estate agent, however, is not allowed to represent their client by power of attorney. The Power of Attorney document will need to be witnessed by a notary public or solicitor in the country of origin, and comply with the proper consular legalisation if applicable. By the time the contract is signed, the buyer should have made all the necessary arrangements to fund the purchase and pay the fees. This includes taxes, notaire’s fees, and the first insurance premium. All the necessary funds should have been transferred from the buyer to the notaire’s bank account in advance of the signing, and the notaire will also need to release money for the initial mortgage payments if necessary. 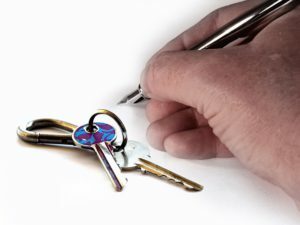 There is usually a viewing of the property arranged just prior to the signing formalities, because the Acte de Vente has a clause saying “sold as seen on signing date”. A good notaire will prepare you for the signing of the Acte de Vente and ensure that there are no last minute problems. See more on our article on the role of the notaire. •Did you find this guide useful? 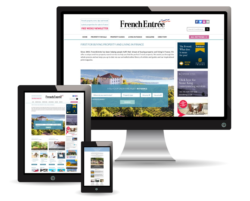 Get FREE regular updates with our French Property, Tax & Law newsletter and receive or FREE weekly round up of the newest and best properties for sale. Sign up here. For further information or for help with your property search, please call the property team at +44 (0)1225 463 752 or email propertysales@frenchentree.com.